If I had been lead to believe what I was told at school and that all I could have a job in conservation was as a scuba diving marine biologist or jungle living monkey lover (tried a bit of both – leeches and seasickness scuppered both) then I would have given up ages ago. I am a font geek/brand checking/queue watching/pop-up cafe loving conservationist. Not only that but at work I get to learn cool stuff like what stag beetles and hedgehogs love. 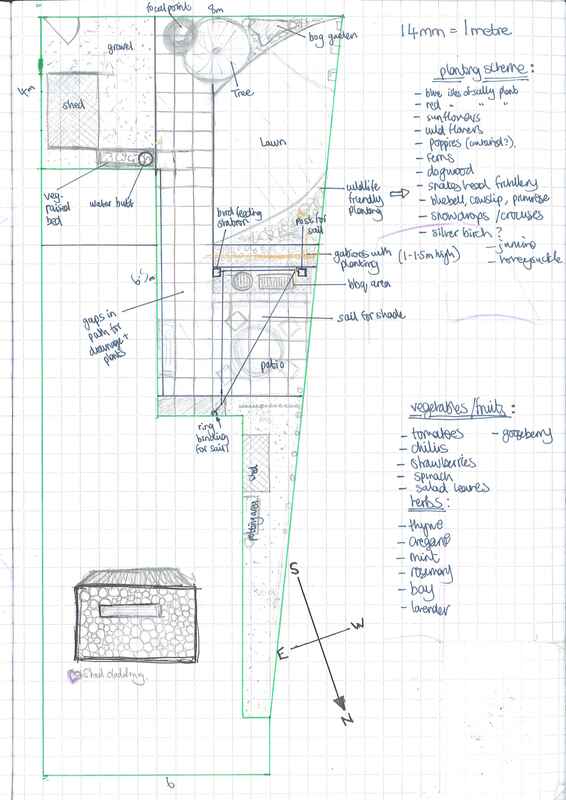 So I embraced this new science knowledge and my creative flare (a bit of a split personality thing going on) and started to design our garden and tackling Phase 3 of Operation Wild Times. □ Find some helping hands. 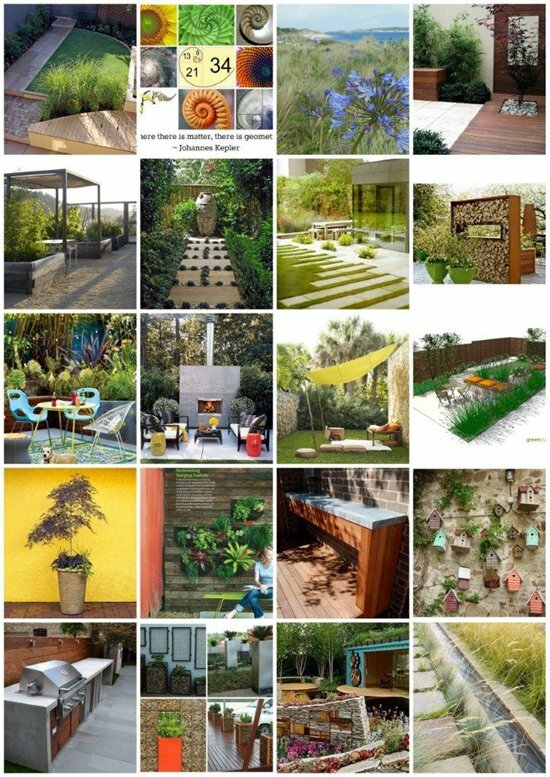 So here it is, after many late nights of browsing the internet, my mood board (yes I said a mood board, stop your chuckling). You get the general idea, a modern contemporary feel with practical stylish solutions to family and wildlife needs. Key take-home messages are, use recycled/reclaimed materials when possible and look to other sectors of the market for clever ideas. This manifested itself with my first mini project – my Hanging Herb Garden of Norwich. Good soil is limited in my garden and I can’t afford to bring in tonnes of top soil like my brother did so instead I looked up and started gardening on the vertical. I used a wire curtain hanging system and bathroom toothbrush pots to make the most of a sunny wall to grow some “micro-greens”. 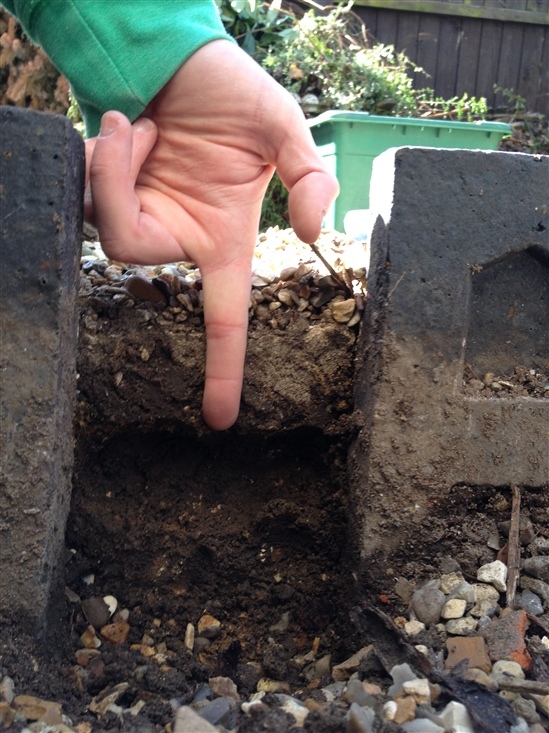 Got me thinking about the importance of our soil and that most of my garden is under a good few inches of concrete – not family or wildlife friendly. Take a look at this video to see what I mean from the soil advocates. After grubbing around in my treasured dirt and getting creative I came up with my final design. Drum roll.... here it is (I recommend an old graph school book for drawing yours to scale). 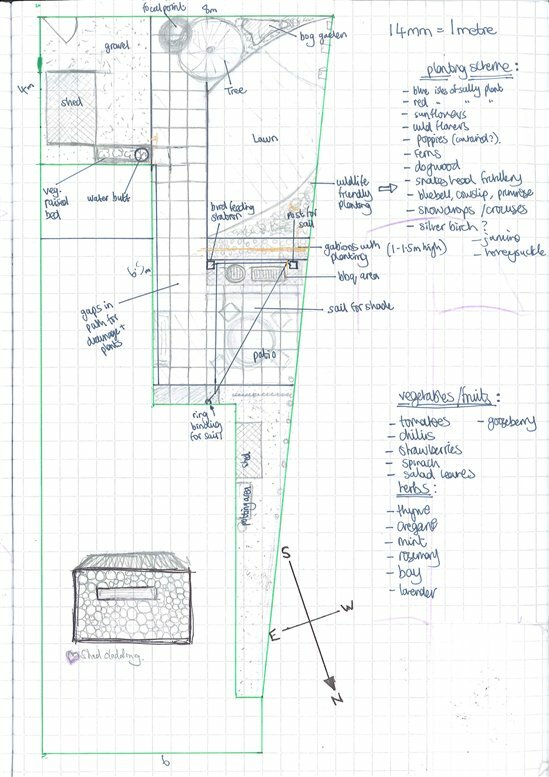 As you can see there are a few restrictions to consider; getting our Little Gem’s buggy from the back gate to the back door is the main one – hence the minimal hard landscaping covering my precious soil. Final step in this phase is knowing your limits and bringing in the big muscle and professional skills. 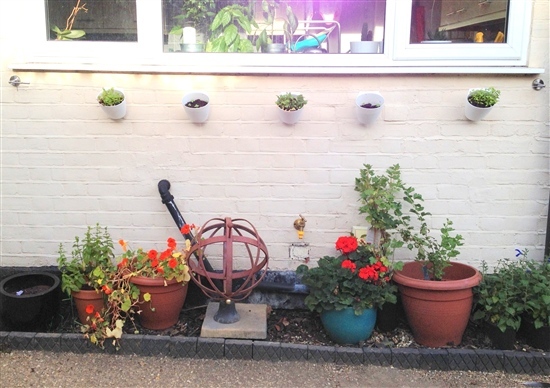 Now as a newcomer to Norwich/Norfolk/East Anglia I did not know where to start with finding a reputable garden landscaper so I jumped on that Rated People website and came across Michael of M. H. Garden Design. He is a lovely chap who is very enthusiastic about wildlife gardening and jumping at the chance of doing something different from the usual driveways and rockeries. You can find examples of what people usually ask him to do here. Next time: Patios and the Parade of Plants!